Tohpati Village is where you can watching the entire Batik, making process from the designing, waxing, coloring and drying of the materials. 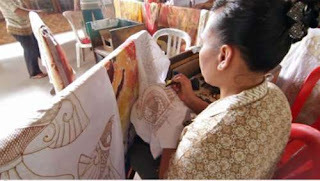 Its very exciting to watch the Balinese paint on a cloth, its not just simple structured paintings but they are very expert and skillful. There are a large number of Batik showrooms in this village where one can find the genuine batik and the finest batik cloth known is Ikat weaving, Ikat means to tie or bind, is used as the name for intricately patterned cloth. Celuk village is a village that is famous because the locals are very proactive and full of innovation for crafiing gold and silver. In the village of Celuk has individuality and excellence in the production of gold and silver crafts. 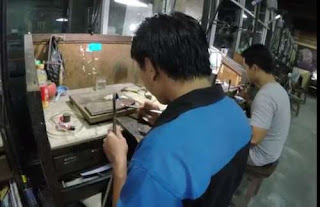 Many of them are Balinese artistic and skilled at developing designs related to gold and silver crafts. Kintamani is the most favorite tourist destinations in bali. around 1500 meters high, the village of Kintamani his a cool, damp climate with the active volcano of mount batur and beautiful lake batur . 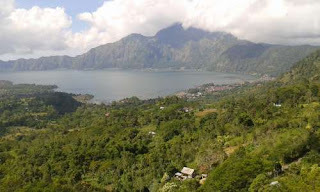 kintamani is surrounded bt the captivating nature and there are six ancient village around cauldron of lake batur. 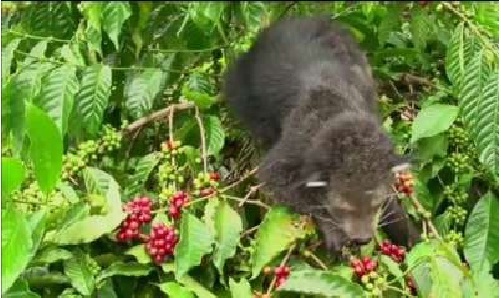 Bali Coffee Agrotourism in bali, place to see any kind of coffee plants and tropical plantations. The experience how to make Balinese coffe with traditional system. Taste the fresh of Balinese coffe or tea. This place also famous animal coffee in bali we call luwak coffee. 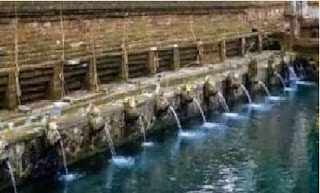 Tirta Empul Temple is a holy spring water temple located at tampak siring village. In the spring local people believed to be sacred so it is not allowed for the people to bathe there.but in the lower part of the temple there are weveral places for bathing. This temple was built in 960 AD.close the temple on hill there is a place of the first president of indonesia soekarno. 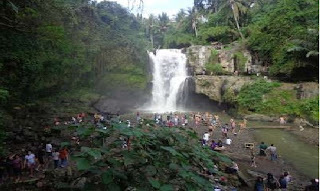 Tegenungan Waterfall is located in Tegenungan Kemenuh town, District Sukawati, Gianyar.Near to the waterfall has been produced with a couple shower showers from normal springs. where you’ll enjoy the impressively green valley panorama with cascading water as a centrepiece. Dense foliage frames the falls, and the water volume is impressive at almost any time of year, but normally at its strongest during the wet season.You can go down to the vast pebbly base and enjoy a dip in the plunge pool, but this is not advised after heavy downpours, due to the risk of flash floods.